"Yeah. I would know, I'm very talented too." Do you like glee? Do you love the characters? Are you invested in what Rachel's going to be singing? Do you care if Kurt gets a boyfriend? Do you like watching people come together and learn and grow? Do you think they messed up a lot of the storylines? Do you think Finchel's great but they moved too fast? Do you think Blaine never would have cheated on Kurt? Then this is the game for you. We will spend a month on three episodes at a time, and we'll do things the way we think they should have been done. Change things, add new things, do things the same. It doesn't matter. Duets is an AU game with the option to be canon compliant. Ships up to the player, no set endgames. Original characters welcome. Canons first come, first served. This is glee the way it was meant to be. 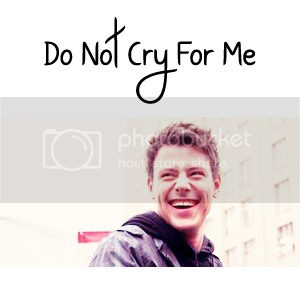 This one's for you Cory. We'll miss you! Do you love glee? Do you wish they had done the stories differently? Then this is the game for you. No set ships, they will be up to the player. This is an AU game that has the option to be canon compliant. It’s pretty much open. OCs are welcome. The canons are first come, first served. And since this is an AU game, you can play around a little with their backgrounds. But not too much. If you aren’t sure, ask a mod. Game takes place during glee’s first season to begin with. We will be doing a month per three episodes. So, we would take a month for episodes 1-3, for example. You have all of that month to change things, or do new things. Then we will move on. Game takes place on insanejournal. This evening/tonight the artist sign-up will close, so this is your last chance to sign in for the Big Bang! We could use some more artists since a lot of authors have signed up already. And to have some more diversity/variety in the pairings. WMHIGH is a pseudo canon, Glee group psl desperately searching for: Finn Hudson, Artie Abrams, Joe Hart, Kitty, Wade "Unique" Adams, Brody Weston, Mercedes Jones, Dottie Kazatori, The Warblers: Hunter, Thad, Flint & Wes and Emma Pillsbury. We also accept original characters with the faces of Glee Project kids, Spring Awakening cast & Starkids! Especially wanted are: Cameron Mitchell, Tyler Ford, Dani Shay(for a line with Santana) and Abraham Lim. Spoilers: It's based on the scenes for Thursday's ep but I think you'd be safe. Summary: Finn and Rachel talk about their breakup. Sexiness ensues.